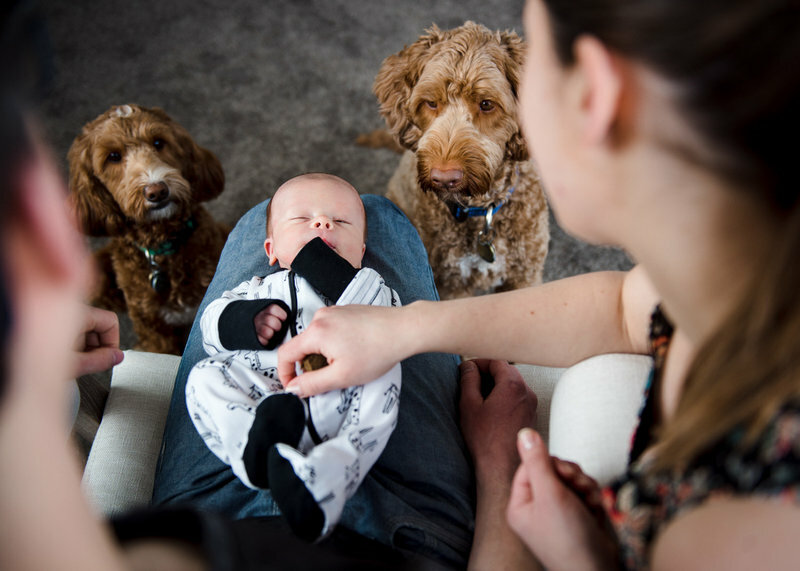 Often before there are human babies, there are fur babies that are the apple of their parent’s eyes. 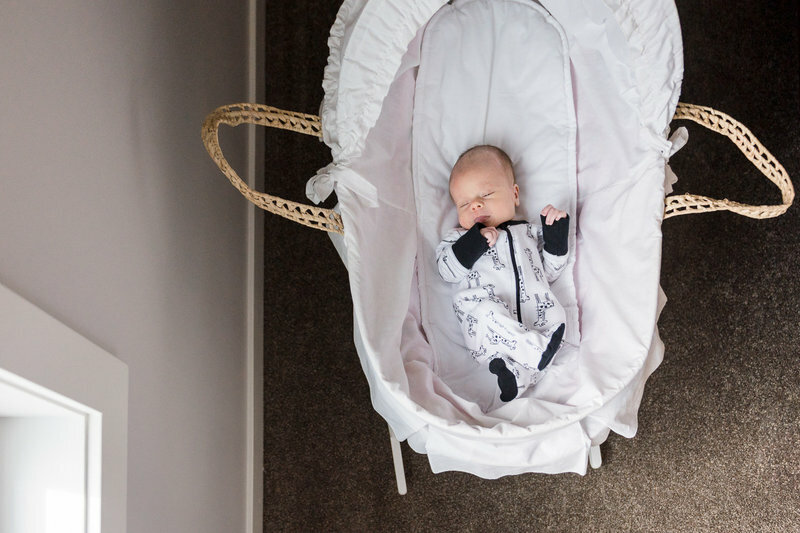 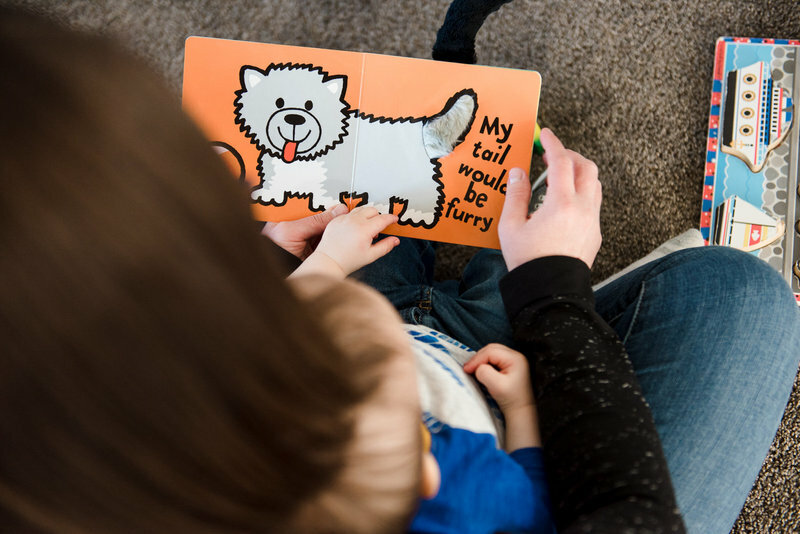 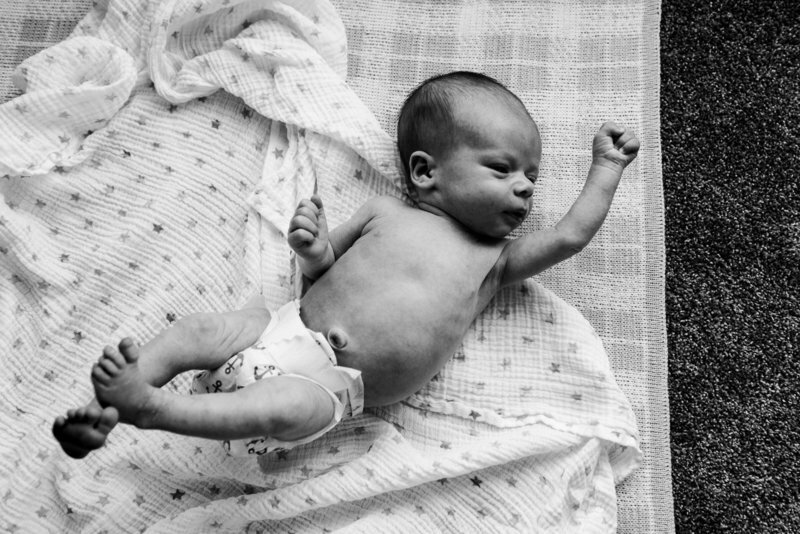 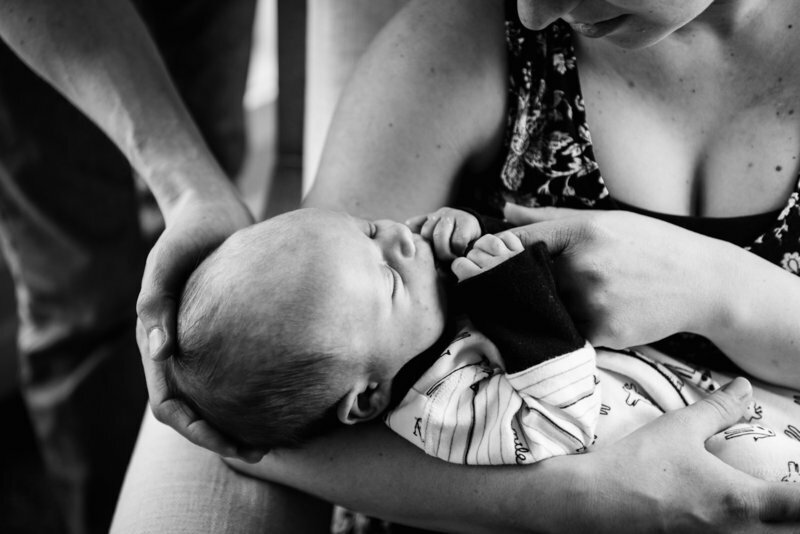 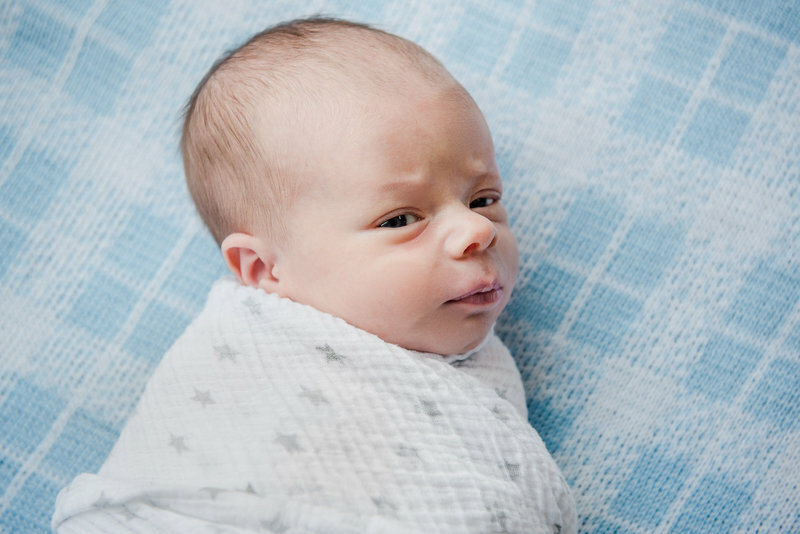 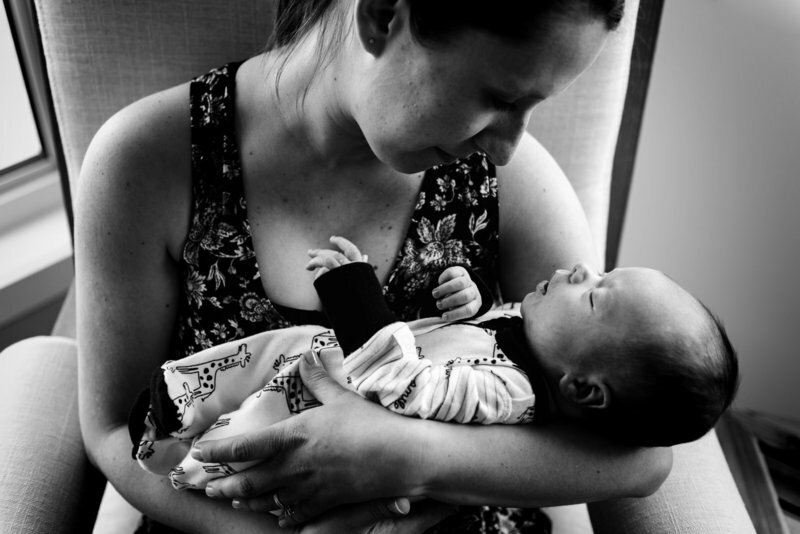 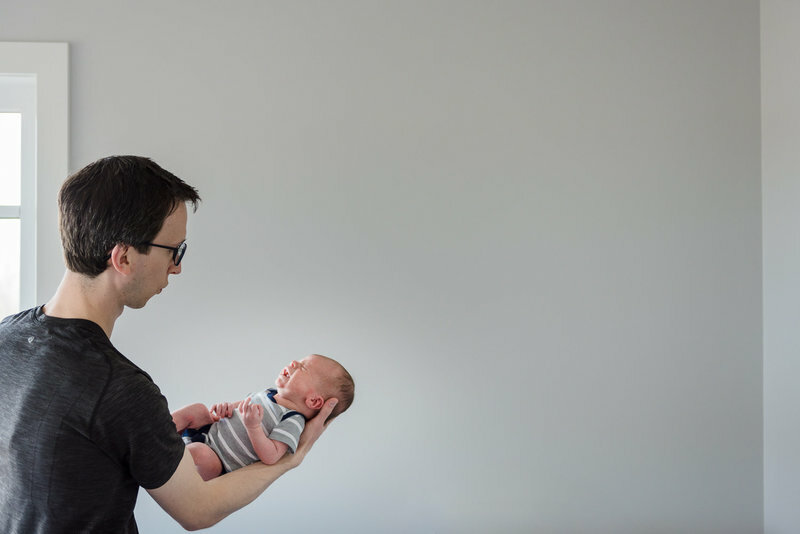 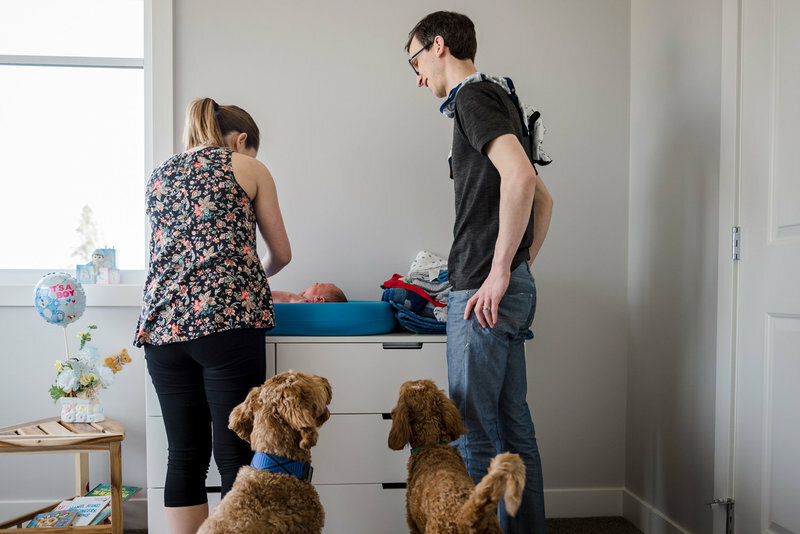 It’s easy to ignore dogs when you’re focusing on documenting a baby, but I try really hard to ensure that fur babies are shown right alongside their new ‘sibling’. 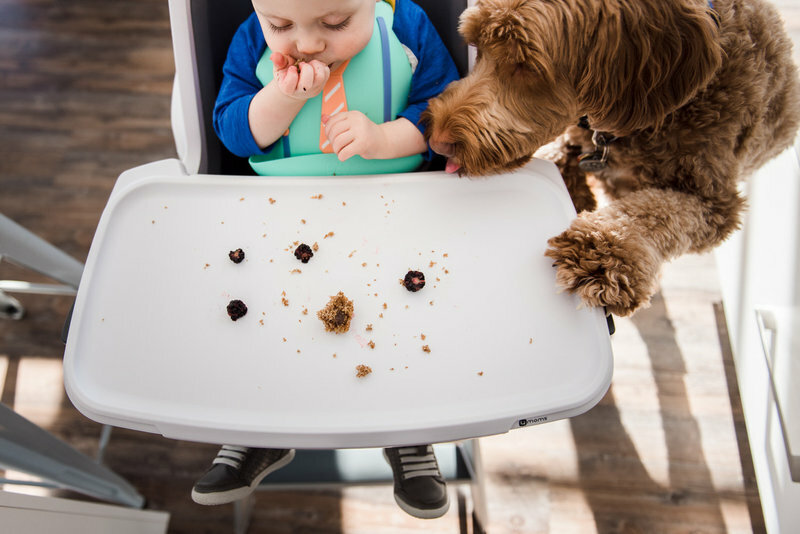 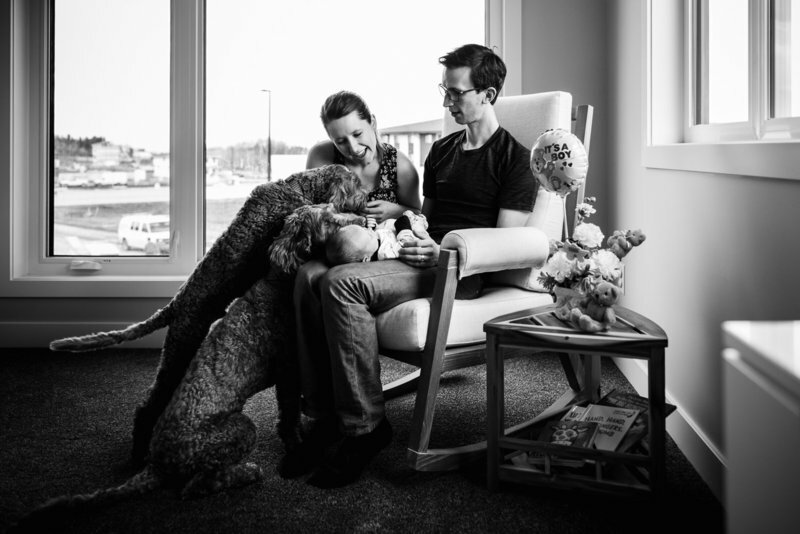 In this case, this family’s australian labradoodles had a large presence in their newborn photo session and again at Benjamin’s 1 year session (like the high chair tray licking, which happens to be one of my favourite photos ever because it happened so organically!). 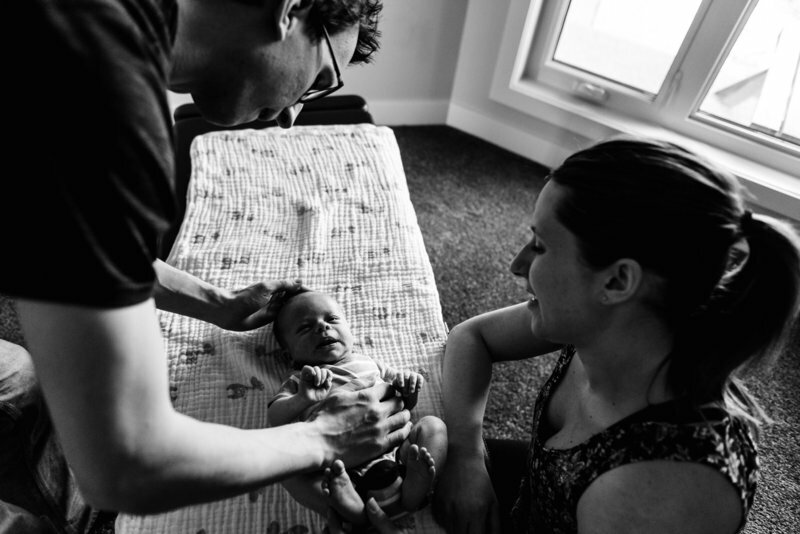 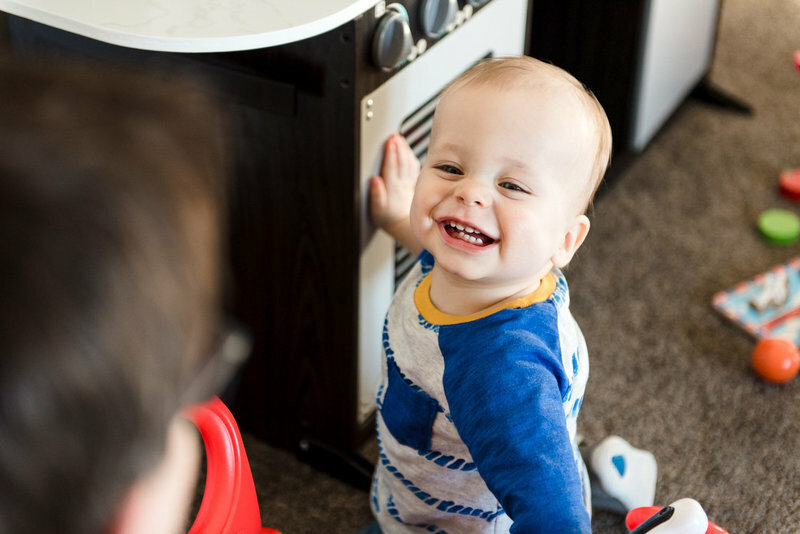 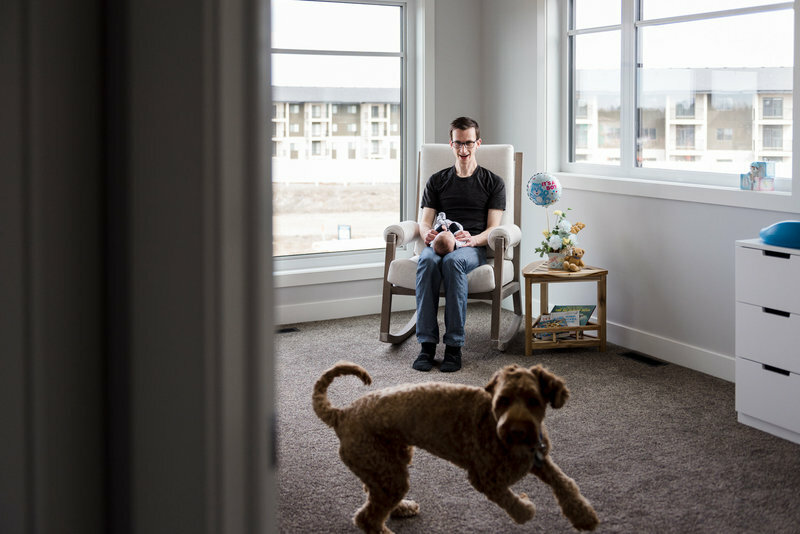 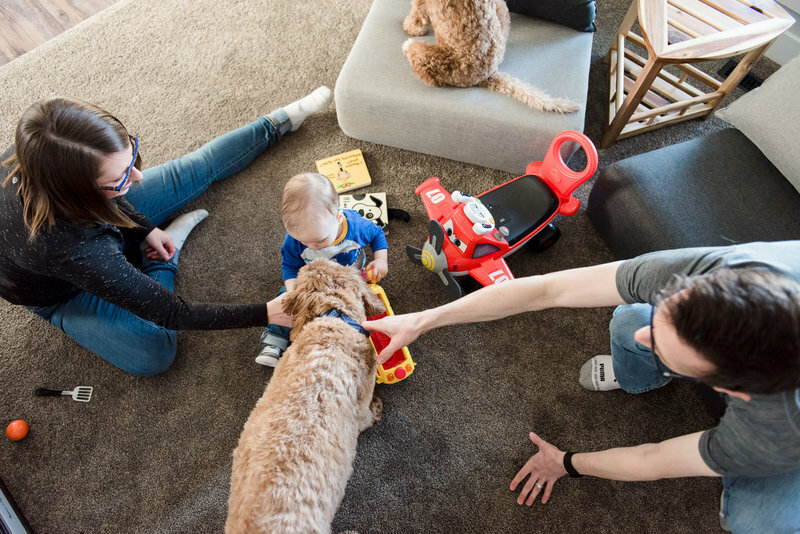 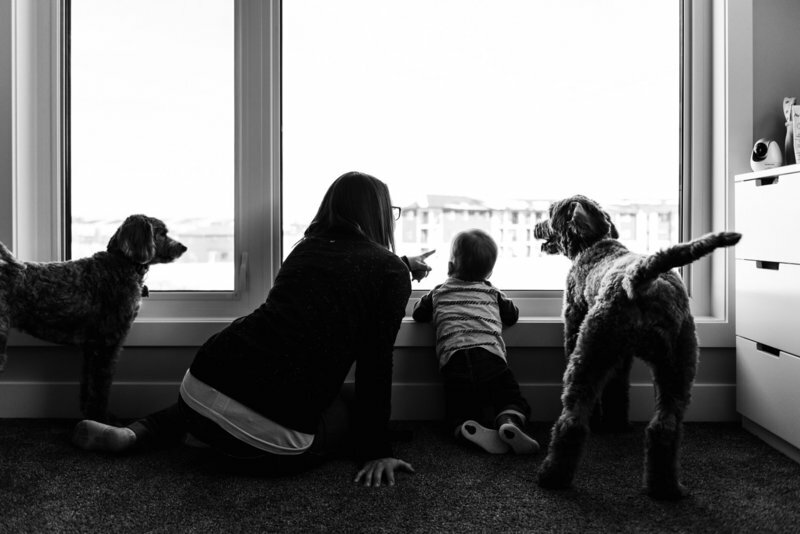 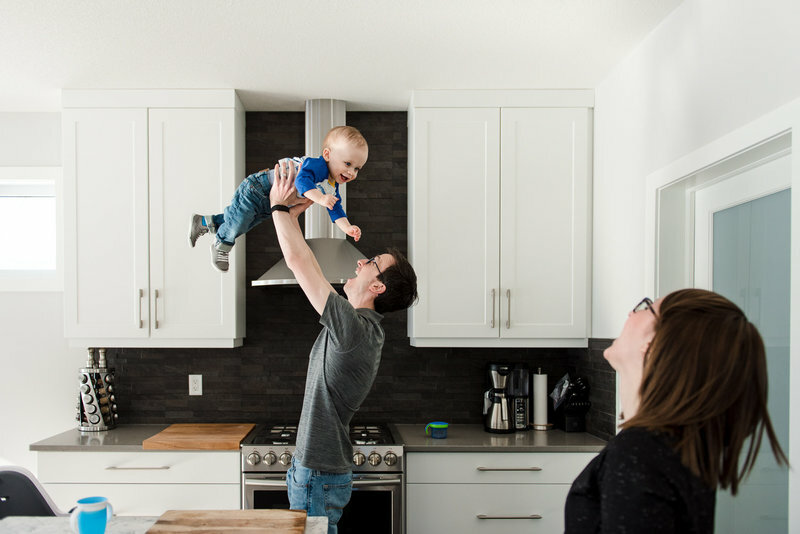 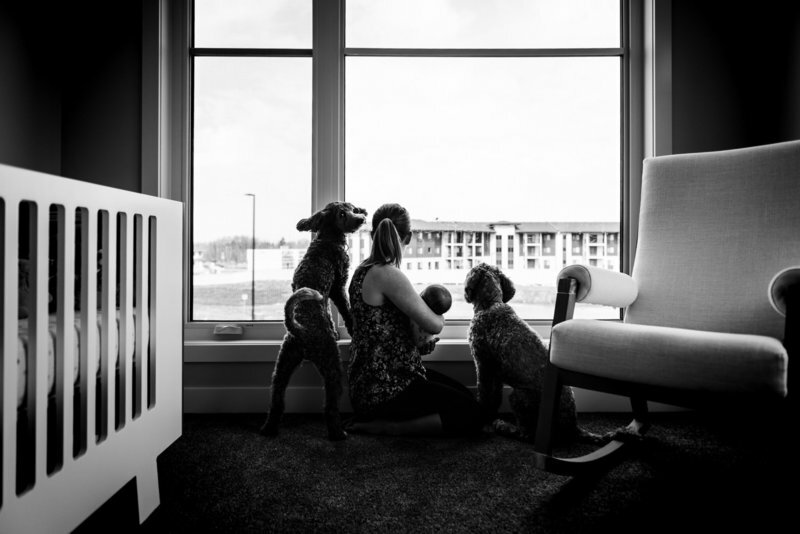 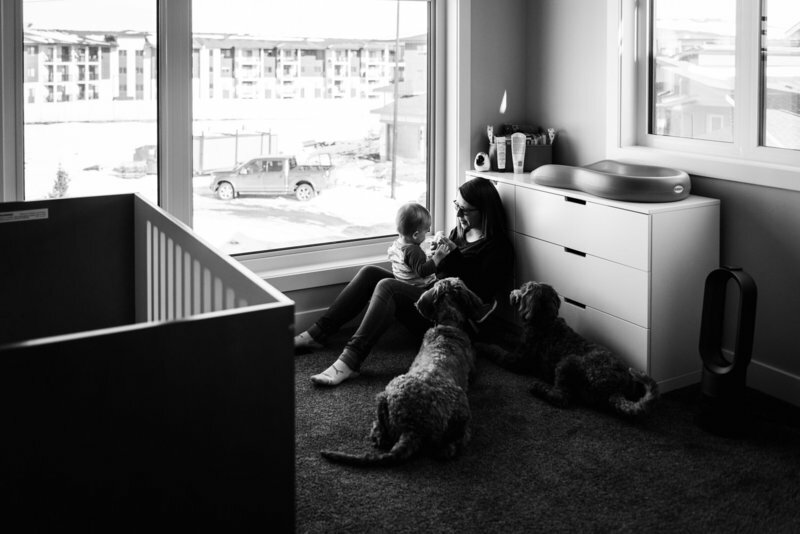 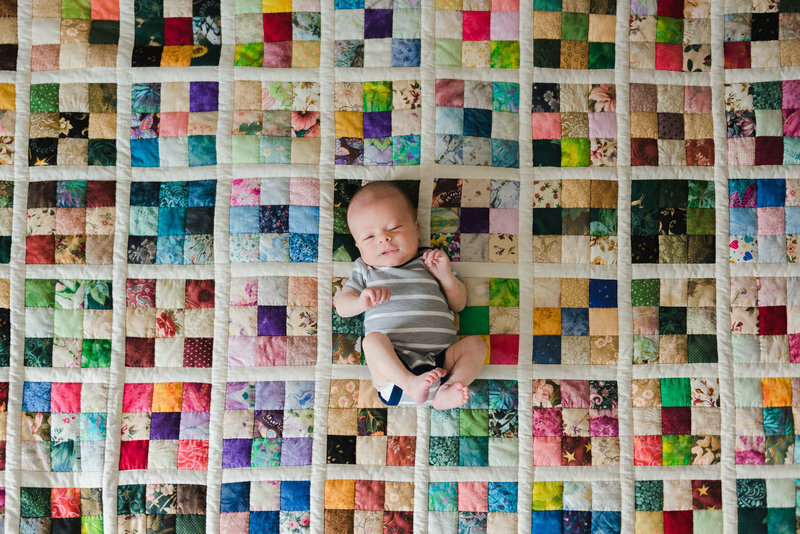 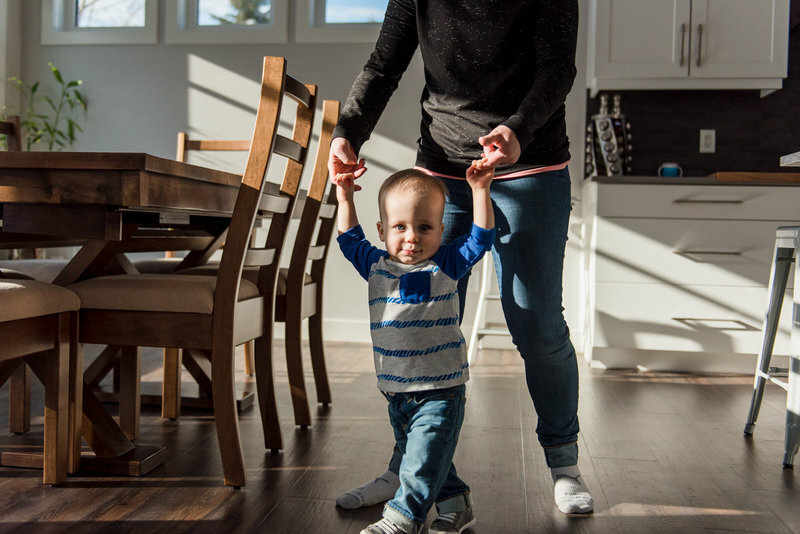 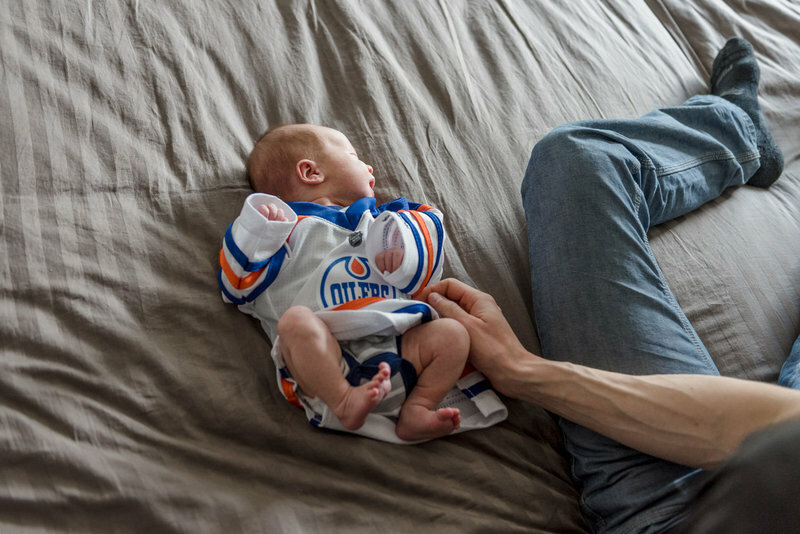 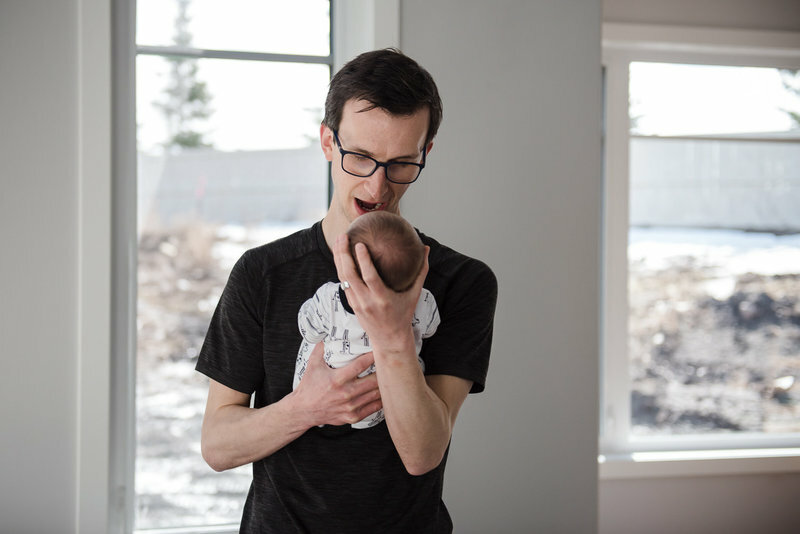 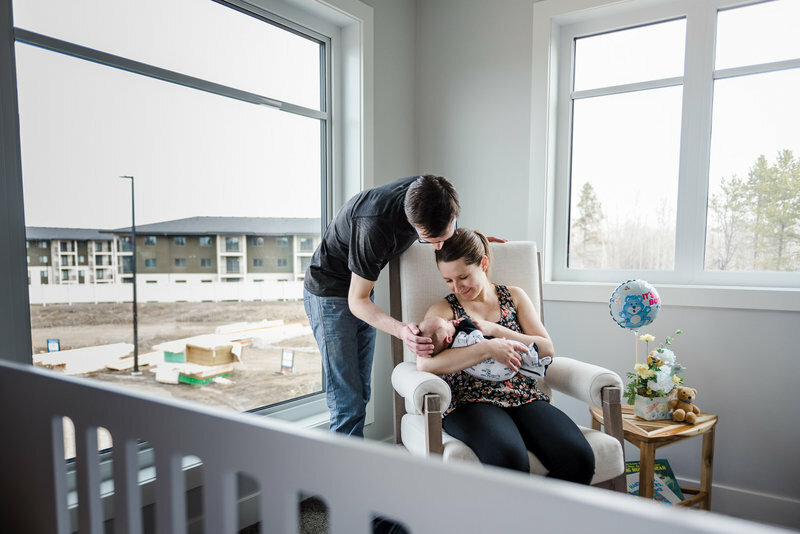 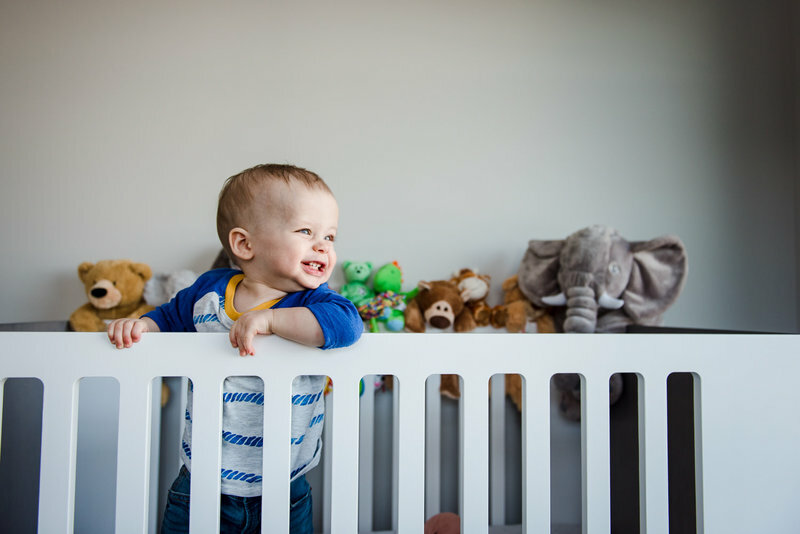 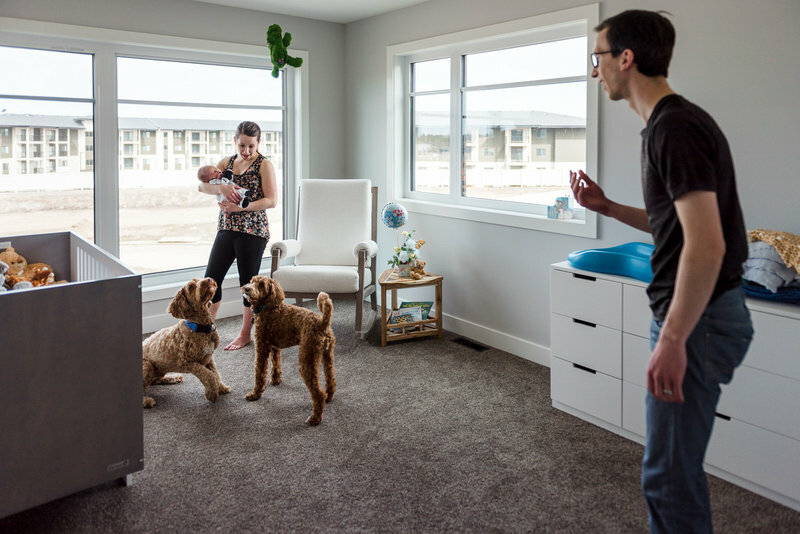 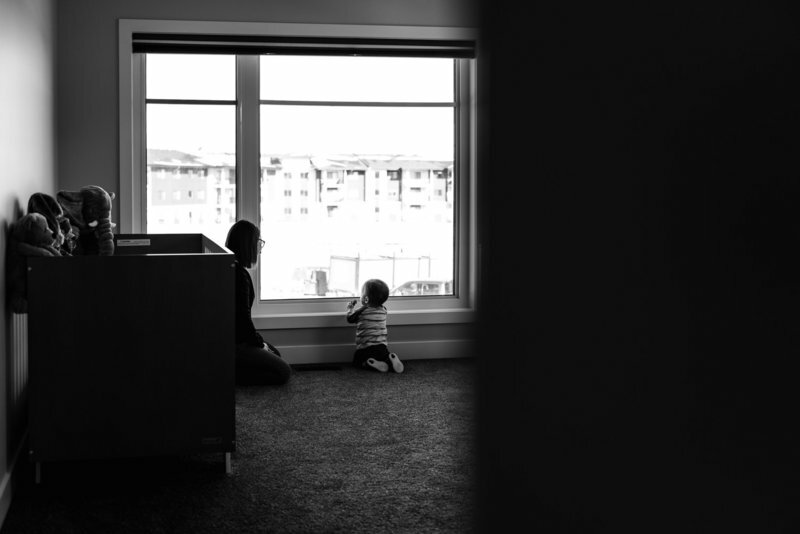 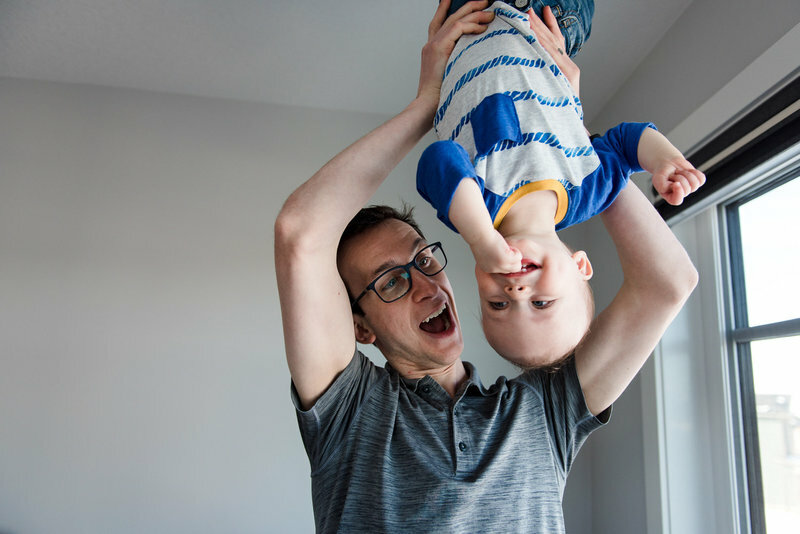 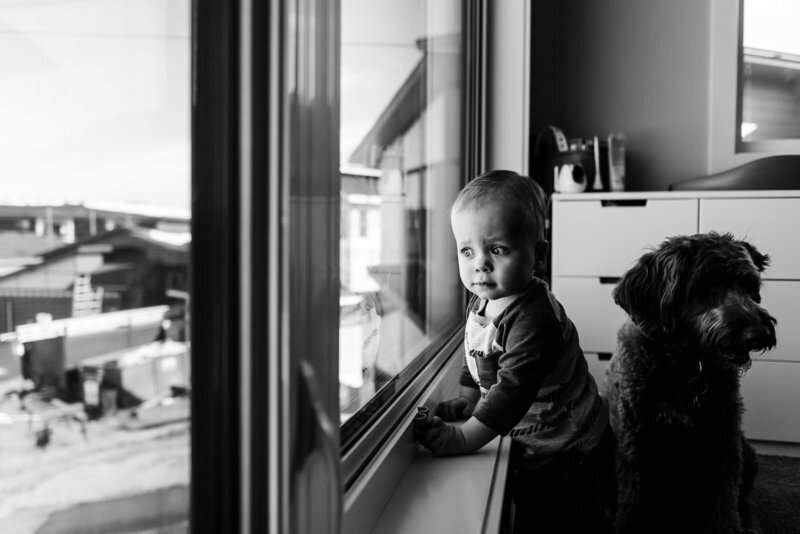 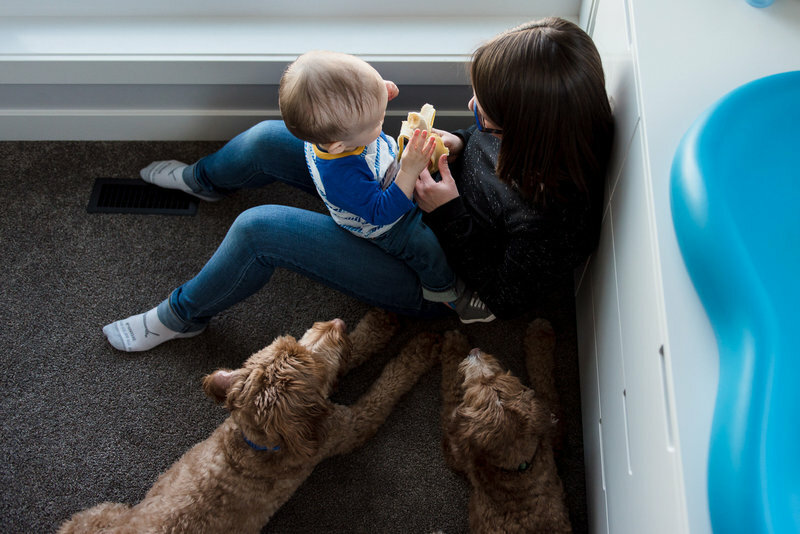 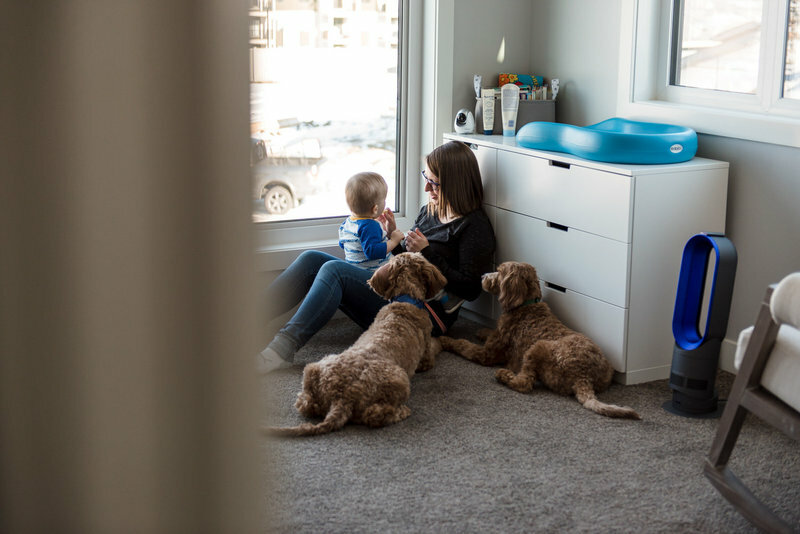 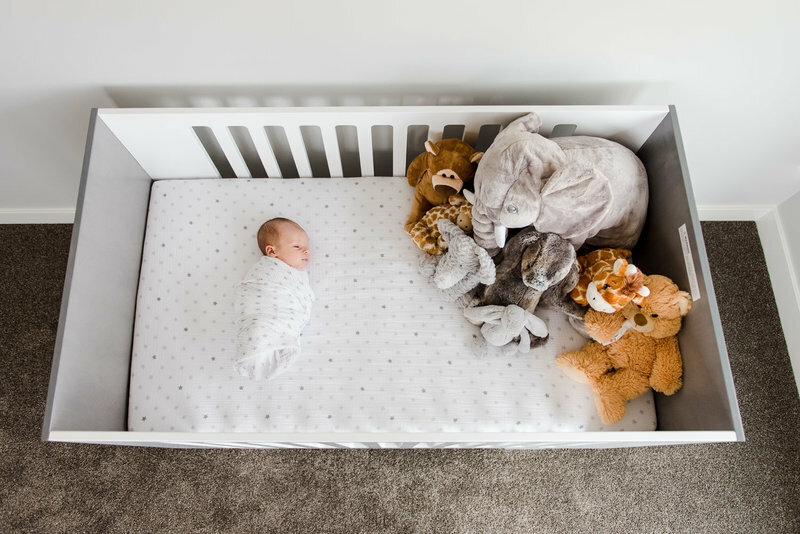 This family had just moved into their new Sherwood Park home months before Benjamin was born, so it was also fun to document the construction outside their windows and how their home transformed as Benjamin grew.